This is only my second Book Blogger Hop for my adult book review blog. This Book Blogger Hop is hosted by Crazy-for-Books, discovered (by me) through Presenting Lenore – thanks to both these blog/gers for providing a great way to meet new blog/gers! To see the amazing blogs I discovered previously, visit my first hop. As this is Book Blogger Appreciation Week, as part of the Hop, I will be sharing my “favorite book bloggers and why [I] love them”. I, of course, have to begin with Seven Impossible Things Before Breakfast, commonly known as Seven Imp, a book blog about children’s books that is (if I may give my humble opinion) the preeminent children’s book world blog. Interviews, artwork, children’s book world discussions, this blog is a treasure trove of goodies waiting to be explored almost every day. Also, personally, they’re named after a Lewis Carroll Alice in Wonderland quote, so how can I not love that? a thousand Books with Quotes is another blog I look up often, as I appreciate the sampling of quotes from each book with the general synopsis. Better than any “look inside!” preview, it whets the appetite even more to find out what those quotes are about and where they fit in to the overall plot. Last, but not least, As the Crowe Flies and Reads by my friend and former co-worker Ms. Emily Crowe is a fabulous read-and-travel-log. Sharing informed opinions, asking critical question, reviewing great books, and showcasing incredible photography and travel stories, this is one of my favorite blogs whether I’m looking for a literary book recommendation or my next dream vacation. 1. Pen and Paper, who gave me a great idea for a post about a Shelf of Awesome, coming soon, I hope! 2. Blkosiner’s Book Blog hosted the original Shelf of Awesome idea. 3. 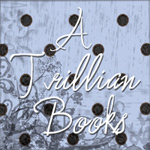 A Trillian Books has an adorable blog design and great YA and adult book reviews. 4. 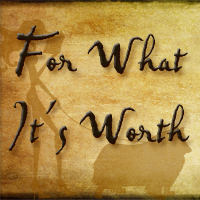 For What It’s Worth also has a stylish blog design and combines book reviews with music reviews – how great is that? I love discovering both! As always, check ’em out! Hosted by Parajunkee, this is very similar to the Book Blogger Hop mentioned above. Today they are featuring Bailey of IB Book Blogging, and the question is: Do you read YA or stick with adult? Both, of course! (Of course for me, anyway.) But this blog is for my children’s/YA book review-related posts only. My adult book reviews can be found on Afterthoughts for Adults. Thanks to Bloggin’ ‘Bout Books for turning me on to this! So glad to have found you via the Hop. I'm enjoying your blog and plan to visit often. Have a wonderful weekend! Hey – just hopping back & surprised to see my button!! Thanks – I hope you enjoy the blog.Petty's Pen & Paper is a favorite of mine as well – you will not leave her site without having either learned soemthing new or laughing hysterically!Have a great weekend. I love children's books and grownup books. I hope you will stop by my blog if you get a chance!I'm a new follower!